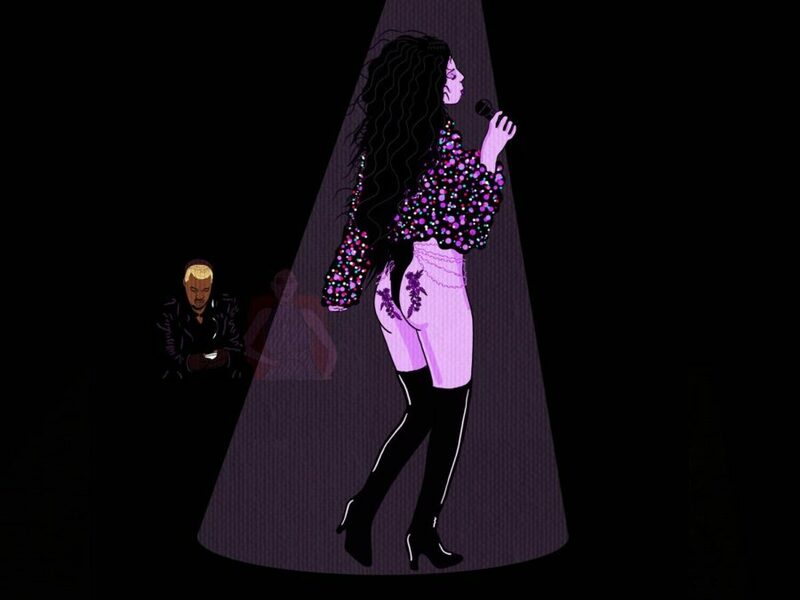 This is the year Kanye West kept getting himself in trouble with his phone, but at the Broadway opening of The Cher Show on December 3, it wasn't a rogue tweet about politics that put him in hot water. During Monday night's performance, which West and wife Kim Kardashian attended alongside of some of Hollywood's brightest stars, actor (and Broadway.com vlogger) Jarrod Spector called the rapper out for thumbing away at his phone. West responded to Spector, who plays Sonny Bono in the new musical, saying that he enjoyed the show and asking Spector to pardon his behavior. It's not the first time a Cher Show cast member pointed out an unruly audience member. Stephanie J. Block, one of three performers who plays the music icon, told one recent audience member, mid-song, to stop filming her. All we can say is, Kanye, you should be glad Patti LuPone wasn't up on that stage. In light of West's blunder, we're offering up some tips for not embarrassing yourself (or disturbing others) at a Broadway show. It's the climax of the show: Revelations have been made, hearts have been broken, and it's all been leading up to this very quiet moment. What's more embarassing than your phone ruining it by blaring your ringtone (no one is in the mood for "By the Seashore")? As far as we're concerned, your phone should be in your bag or pocket, airplane mode on, do not disturb on, power off… still sitting in your hotel room. OK, maybe just turn it off. You can't record a Broadway show with audio, videos, or photos. You just can't do it. Valid arguments have been made about how some theater isn't accessible or affordable to many people, but documenting and sharing performances online is not the answer. Not only is theater supposed to be experienced live (with no distraction from screens) but "bootlegging" performances is essentially stealing the work of theater creators, designers, performers and staff. It makes it harder for those shows to rely on ticket sales to stay open. Even if it's a quick pic for your Insta Story, remember, it's The Cher Show, not the Cher Here We Go Again Tour. You doing parkour over eight people to get to your seat during the opening number isn't fun for anyone. Leave the defying gravity to Elphaba. When you buy a ticket to a show, that small slice of paper entitles you to one thing: a show. That's it. Actors don't owe it to fans to take pictures, sign programs, talk to them at length about their experience playing Millie in high school. They can also decide, for health reasons or otherwise, not to stage door at all. That being said, most actors want to hear from their fans, so if you send a letter, or a tweet, there's a good chance you'll get a reply, and maybe even a signed Playbill. Also, ask before you hug, for Cher's sake! Unless you're Regina George wolfing down Kaltene bars, you really shouldn't be eating during a show. Although the candy and drinks sold at concessions are totally fine (and wildly expensive! ), the smells and sounds of a bag of sour cream and onion chips—and/or your masticating—can add up to a distracting experience for your neighbor. In essence, eat your dollar slice on the street, and unwrap your Werther's Originals before the show starts. CHEEP CHEEP CHEEP, TALK A LOT? When you're watching a show, just remember: The professionals on stage are the ones performing, not you. Of course, New York theater can be exciting, and you want to share it with the people around you. So, a whisper to your friend next to you won't hurt anyone, but keep it to the loud moments, applause breaks, scene changes or—just maybe—intermission. Outbursts and heckling, negative or positive, are just plain annoying to your fellow theatergoers and distracting to the actors. So, even if the spirit moves you, keep all of your Yaaas queens! to yourself. P.S. Do not tag or @ any performers, directors, or creative team members in your negative opinions of their shows on social media. If they wanted to listen to a bunch of critics, they'd hang out on the second floor of Sardi's.